Hearing aids work the best when they fit well and are adjusted properly. Your hearing aids should be comfortable to wear and provide good sound quality. Keep in mind that hearing aids do not restore normal hearing and are not as good as normal hearing, but they do enable you to pick up sound better in noisy environments. Before a hearing aid can be prescribed for an individual, he or she must first undergo hearing testing. A hearing test is needed when an individual notices persistent hearing problems in one or both ears, or has difficulty understanding words in everyday conversation. 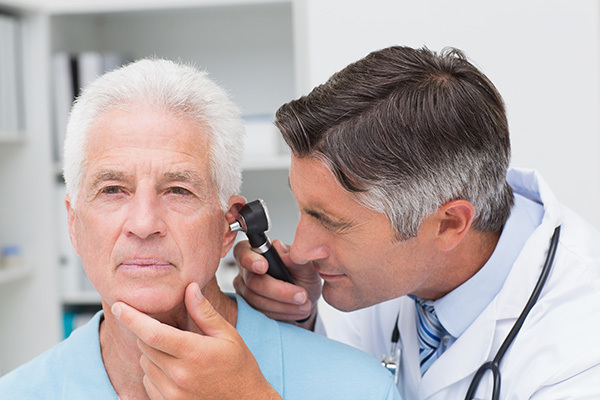 Hearing testing determines the type and severity or degree of hearing loss you are suffering from. Tests function by measuring one’s ability to hear sounds reaching the inner ear through the ear canal as well as sounds transmitted through the skull. These types of sounds are known as air-conducted and bone-conducted sounds, respectively. During a hearing test, you will likely be asked to respond to a series of words or tones by raising your hand or pressing a button. The most common hearing test is the pure-tone audiometry. During a pure tone audiometry — or hearing test — a machine called an audiometer will play a series of tones through headphones. These tones will vary in pitch and loudness, which will be controlled by your hearing specialist. The hearing specialist needs to collect the range of your ability to hear, so he or she will control the volume of the tones, reducing the volume of a tone until it is inaudible, and then increasing the volume until you can begin to hear the tone again. The hearing specialist will repeat the test multiple times, using a higher-pitched tone with each subsequent test. Each ear will be tested separately, since the degree of hearing loss can be different ear to ear. Other types of hearing tests include a whispered-speech test, tuning-fork test, speech-reception and word-recognition tests, otoacoustic-emissions testing and auditory-brainstem response testing. Like the pure-tone audiometry, these tests are pain free and usually do not involved any discomfort. If you believe you suffer from hearing loss, it is important to make an appointment with a hearing specialist. Undiagnosed hearing loss can lead to depression, cognitive decline, isolation and more.